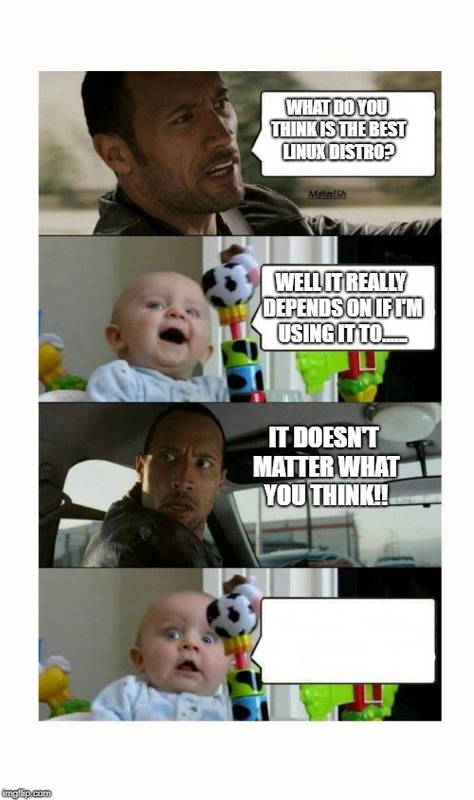 The Rock don't care what you think about linux! WHAT DO YOU THINK IS THE BEST LINUX DISTRO? WELL IT REALLY DEPENDS ON IF I'M USING IT TO...... IT DOESN'T MATTER WHAT YOU THINK! !